Chelsea and Swansea go head-to-head at the Liberty Stadium. Follow the Premier League action with unique sports. Antonio Conte’s Chelsea go head-to-head with Swansea at the Liberty Stadium. With four games to go in the Premier League season, Chelsea are fifth, five points behind fourth-placed Tottenham, who play Watford on Monday. Swansea are one place above the relegation zone and hold a four-point advantage over Southampton and Stoke – the two clubs directly below them – heading into the weekend. Carvalhal’s side have not won since a 4-1 home victory over West Ham on March 3, but Carlos Carvalhal is upbeat about Swansea’s survival prospects with three of their last four games at the Liberty Stadium. 16:55: I think Swansea manager Carlos Carvalhal might well have taken a swipe at Antonio Conte earlier this week. 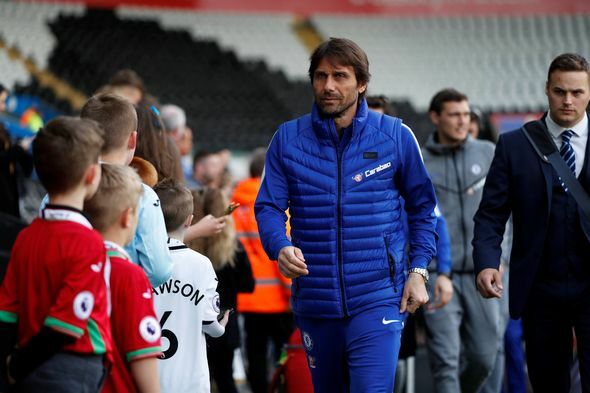 Conte caused a stir when he claimed Burnley boss Sean Dyche has an easier job compared to managers competing at the top end of the table and backed by bigger transfer budgets. But Carvalhal believes managers at the top clubs have it easy compared to the role he inherited at Swansea at the end of 2017. “Of all the jobs in the Premier League, I think ours is the hardest of all of them,” Carvalhal said. “Why? Because when we arrived we were five points adrift, no-one else was playing in this condition in this competition. 16:45: Carlos Carvalhal has made two changes. Federico Fernandez (injured) and Tom Carroll (bench) are replaced by Connor Roberts and Sam Clucas for today’s clash. It’s nice to see Renato Sanches return to the squad after a lengthy spell on the sidelines. 16:40: As previously mentioned, Olivier Giroud keeps his place in the Chelsea starting XI after impressing against Southampton in the FA Cup. He starts alongside Eden Hazard in a 3-5-2 formation at the Liberty Stadium. Thibaut Courtois is back in goal as Emerson Palmieri replaces the suspended Marcos Alonso, who will be available next week. 16:30: And here are your line-ups folks. Antonio Conte continues with Olivier Giroud in attack, and why wouldn’t you after that Lionel Messi-esque goal against Southampton. 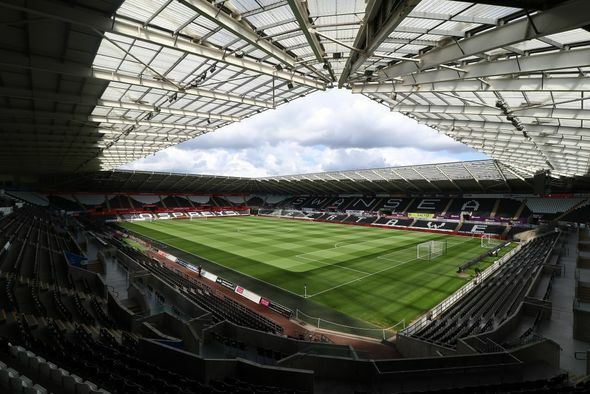 Swansea XI: Fabianski, Naughton, Van Der Hoorn, Mawson, Olsson, Roberts, Ki, Clucas, King, J Ayew, A Ayew. Subs: Nordfelt, Britton, Dyer, Carroll, Routledge, Rangel, Sanches. Chelsea XI: Courtois, Azpilicueta, Cahill, Rudiger, Moses, Bakayoko, Kante, Fabregas, Emerson, Hazard, Giroud. Swansea could be without defensive duo Federico Fernandez and Kyle Bartley. The pair both face scans on knee injuries and, if ruled out, could force manager Carlos Carvalhal into playing four at the back rather than three central defenders. Dutch winger Luciano Narsingh is another doubt with an ankle problem, but Portugal midfielder Renato Sanches could return to the squad for the first time since the end of January after a hamstring problem. Chelsea left-back Marcos Alonso will complete his three-match ban. The Blues have no fresh injury concerns, but could make changes following the FA Cup semi-final win over Southampton, with Thibaut Courtois expected to return in goal. Danny Drinkwater (groin) was left out at Wembley but could return, but defenders David Luiz (knee) and Ethan Ampadu (ankle) are out.